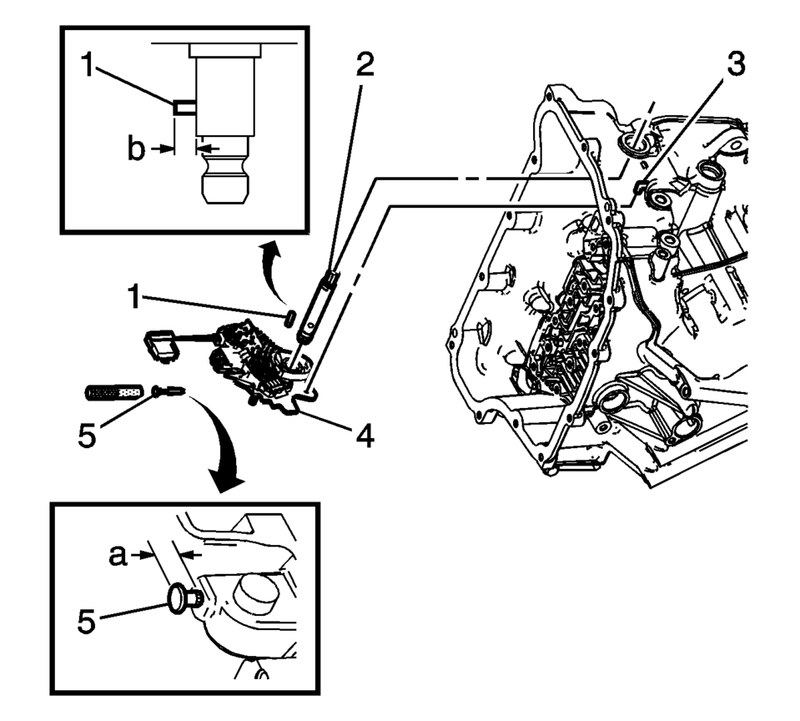 Disconnect the transmission range selector lever cable terminal (1) from the transmission manual shift lever pin. Remove the control valve body cover. Refer to Control Valve Body Cover Replacement. Remove the control valve body. Refer to Control Valve Body Replacement. Remove the manual shaft detent lever hub pin (1) using DT-48550 remover. 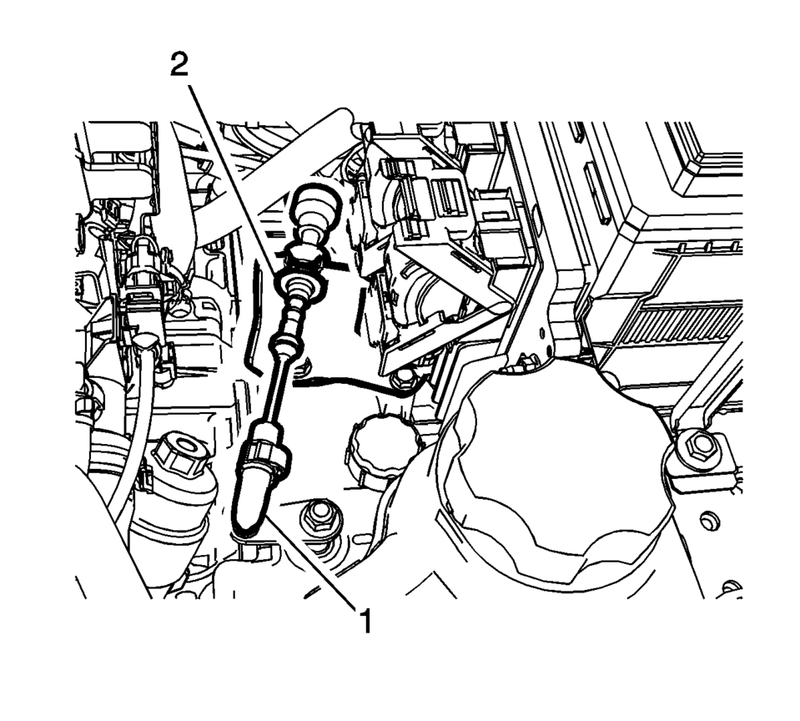 Remove the manual shift shaft pin (5) using diagonal pliers or equivalent tool. Discard the pin. Remove the manual shaft (2). Disconnect the actuator rod (3) from the detent lever assembly. Do not remove the actuator rod from the transmission case. Do not pull the park actuator rod end out beyond the machined oil passage surface in the case. A no park condition will exist if the park pawl actuator assembly is pulled out of the transmission too far and the actuator rod disengages from the park pawl. The transmission assembly will require disassembly to reinstall the actuator rod over the park pawl. 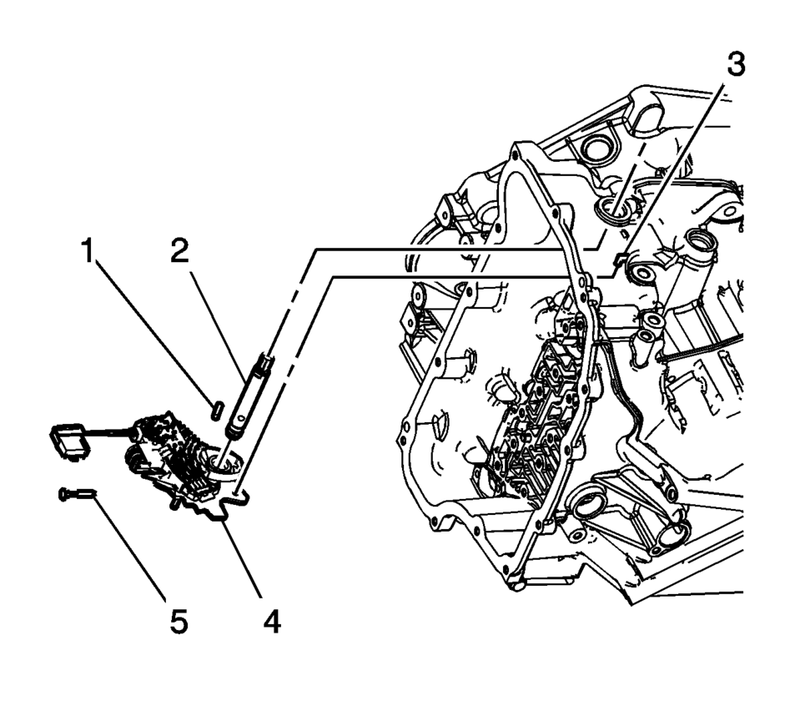 Remove the manual shaft detent (w/shift position switch) lever assembly (4). Connect the actuator rod (3) to the detent lever assembly. Install the manual shaft detent (w/shift position switch) lever assembly (4). Lubricate the shaft with automatic transmission fluid to prevent damage to the manual shift shaft seal during installation. Install the manual shaft (2). Install the manual shaft detent lever hub pin (1) using DT-41229 Installer. Install the Manual Shaft Detent Lever Hub Pin to height of (b) 7.9 mm (0.38 in). Use the manual shaft pin installer to install the pin at the correct height in order to properly secure the manual shaft. If you install the pin too deep, the case bore may crack. Install the NEW manual shift shaft pin (5) using DT-41229 Installer. Use a NEW pin to ensure proper engagement with the case. Inspect pin installed height is within (a) 7.2?.2 mm (0.28?.32 in). Install the control valve body. Refer to Control Valve Body Replacement. Install the control valve body cover. Refer to Control Valve Body Cover Replacement. Connect the transmission range selector lever cable terminal (1) from the transmission manual shift lever pin.